The central differentiating technology in these headphones is the Warwick Audio Technologies (WAT) High-Precision Electrostatic Laminate Transducer (HPEL) driver. The basic driver is three layers: a 15 micron (thinner than a human hair) metalized laminate film; a 0.1mm thick stainless steel screen; and a die cut Formex™ spacer adhered between the two to create a 0.66mm gap. Warwick is the OEM provide of HPEL drivers, which can be produced in a wide variety of shapes and sizes. The technology behind the HPEL grew out of the research interests of Professors Duncan Billson and David Hutchins at the University of Warwick in the United Kingdom. [Ed: An article about the development, and the patent] Seeing great potential in the concept, a group of investors got together to commercialize the technology and established Warwick Audio Technologies Ltd to bring HPELs to market. While the single-sided concept is not new, it took advancements in finite element analysis and materials research along with the skill of the WATL team to realize the full potential of HPELs. Thanks to an automated manufacturing process, HPELs are repeatable, and highly consistent (unit-to-unit). They are also cheaper to manufacture than conventional electrostatics, yet maintain all the characteristics for which electrostatics are so beloved: low distortion, fast transient response, extended bandwidth, etc. Moreover, thanks to Finite Element Analyis (FEA), WATL is able to easily customize each transducer to suit the needs of its clients. Warwick sees numerous applications in addition to headphones. As Warwick is an OEM supplier, they look for or create other companies to produced finished product. The first company was ZonarSound who makes directional speakers for public places. Because the flat panels radiate an essentially planar wave front, sound propagates straight out normal to the plane of the driver. By adjusting the size and shape of the driver some control of directionality can be gained. These panels can be used in museums for audio presentations at each exhibited piece without bleeding to adjacent displays. Other applications might include TV audio for an open waiting area in an airport or hotel lobby where the sound remains contained within that space without bleeding into near by customer service stations. Another application envisioned might be in automotive speaker systems where space is at a premium. HPEL speakers could potentially be slipped into roof linings, door pillars, and headrests. Warwick can provide electronics modules to go along with the speakers, both for installation where external power is available and for battery powered portable options. The Model One is built by start-up company Sonoma Acoustics...but it's a crew well versed in high-resolution audio. Led by David Kawakami, General Manager at Sonoma Acoustics, the team is largely made up of folks who developed the first DSD digital audio workstation, the Sonoma DSD Multitrack Recorder Editor, in support of the SACD roll-out . But when I considered the speaker performance area by performance area, I could find nothing to criticize. Other than its fundamentally lean balance, its level of coloration is vanishingly low, and its performance at the frequency extremes is almost beyond criticism, especially in the treble. Ever since leaving Sony in 2005, I had hoped a project would come along that would allow me to work again with the team from the SACD project. As it turned out, the opportunity wouldn't come until ten years later when I got a call from Dan Anagnos, our old friend and ex-Sony colleague who had designed the SS-M9ED loudspeakers we used to launch SACD. Dan, who had become the CTO at Warwick Audio Technologies in the UK, told us he had developed a new electrostatic transducer for headphones and had a prototype he wanted us to hear. My consulting partner, John Garrison (also ex-Sony) and I went to CES in 2016 to hear the prototype and the rest is history. I immediately called former SACD project team members Gus Skinas and Andrew Demery and asked them whether they would be interested in forming a new high-end start-up to bring the first HPEL-powered headphone to market under the Sonoma brand. A year and a half, and some five generations of prototypes later, the Model One came into being, becoming what we think is the first headphone to be truly optimized for listening to the kind of hi-res music that we had worked so passionately on for SACD. Click to read more about the Warwick and Sonoma team. The Model One System is comprised of the M1HP headphone and M1AMP electronics unit; they are not available separately and are incompatible both in bias, drive voltages, and connectors with other electrostatic headphones. Generally speaking, this stuff seems really nicely designed and built. We'll take them one at a time. The Sonoma M1HP is a circumaural, open acoustic headphone. Ear capsules are injection molded magnesium chosen for its light weight, acoustical damping properties, RFI/EMI shielding, and high strength to weight ratio. The cans weigh in at a very light 303 grams, and seem reasonably good looking but not particularly stylish. The headband mechanism is surprisingly similar to the Sennheiser HD 600 headband design as seen above. Both have very similar swivel, yolk, and headband pad insert mechanisms; I've been told though the bands look similar, there are no shared parts. The headband itself is made of Polyamide 12 (Nylon 12); internally parts are made of vapor-deposited titanium coated stainless steel. Ear pad and headband cushions are Ethiopian Cabretta sheepskin leather, tanned by Pittards in the UK, and hand sewn in Germany. Earpad leather is slightly brown of black, and slightly mismatches the color of the baffle plate edges next to it. By feel, internal cushioning appears to a be a soft grade of foam, but not memory foam. Earpads can be removed with a sharp tug and easily snap back into place. I found the headphones to have a bit too much caliper pressure as it clamped to my head; foam ear pads were a little hard; and headband adjustment quite stiff. Fit is very secure on the head and will not move around even with significant head motion. Though slightly uncomfortable due to caliper pressure, they were fine for a few hours at a time. After that, I'd have to take a break. Subsequently I did grasp the headband in both hands near the middle and firmly bend outwards. Nylon is a nice material as it's resistent to breaking and will gently deform with enough pressure. DO NOT grasp the headband at the ends or by the earcups to do it; this may result in misalignment of internal parts or breakage. You only want to bend the central portion of the headband slightly. This seemed to significantly relieve the problem. Both the headphone and USB cables were developed with the aid of Straight Wire Inc. The headphone 6' cable is claimed to be ultra-low capacitance cable composed of very fine strands of silver-plated, oxygen-free high conductivity (OFHC) ultra-pure copper. Foamed polyethylene insulation is used for its superior damping and high dielectric constant. Two Kevlar® fibers are woven into the cable for enhanced strength. Cable capacitance is claimed to approach 50pF/m. The cable has a black synthetic woven cover; a plastic "Y" splitter cover with Sonoma logo; and two somewhat stiff cables from the "Y" split to the capsules. Not sure what the multi-pin connectors are, but they're very nice. There is a sense loop in the cables that will automatically shut the amplifier output down if the headphones are disconnected. I found the cable rather stiff and rather prone to cable-born mechanical noise ("microphonics") when moved around. More talk on the driver itself on the next page. Though rather simple and elegant looking from the outside, the M1AMP is jam packed with all sorts of trick goodies. The enclosure is machined from a solid billet of 6063 aluminum and has wall thicknesses of 5/16th", which is then bead blasted for a matte finish and then anodized. Front and rear panels are 1/2" polished aluminum; panel labels are laser etched and will not fade or rub off. The M1AMP has four inputs: USB 2.0; coaxial S/PDIF; analog 'high-level' RCA jacks; and analog 'low-level' on a 3.5 mm stereo jack. The "high-level" RCA inputs accept a maximum input signal of 2.1Vrms, while the "low-level" 3.5mm jack accepts a maximum signal of 850mVrms. 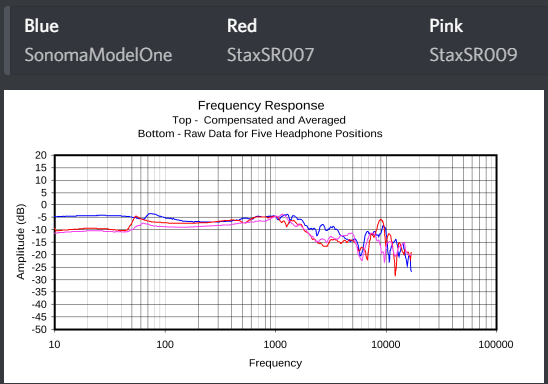 The switch between the two analog inputs is on the rear panel; the front panel hosts the switch between digital and analog; auto switching is employed for digital sources with the S/PDIF input taking precedence. S/PDIF input accepts PCM digital audio formats up to 24bit/192kHz; the USB inputs accepts digital audio formats up to 32bit/384kHz PCM and DSD (DSD64/DSD128) via DoP. It's probably worth noting here that the included USB cable, developed in collaboration with Straight Wire Inc., features gold-plated connectors, silver-plated conductors, and ferrite filters for a clean, fast data path. Once inside the box all signals are routed to a DSP for tuning and correction. Digital signals can be sent pretty much directly to the DSP; analog signals are first digitized by a multi-channel 32bit/384kHz AKM ADC chip. Separate channels are used for the high and low level analog inputs and optimized for expected voltages. The digitized signals from the analog inputs are then sent off to the digital signal processor (DSP) if selected. 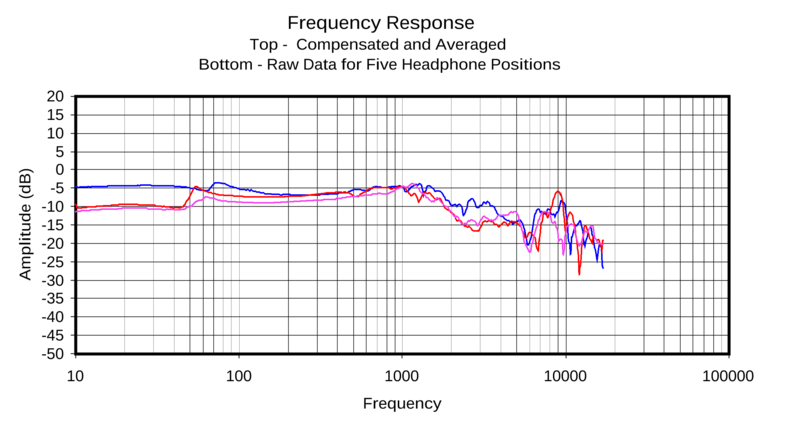 Digital signal processing (DSP) is employed for three reasons: volume control; corrections to linearize driver performance; and equalization to achieve a target frequency response. More on the last two needs later. Processing is accomplished using a custom 64-bit double-precision fixed-point arithmetic multi-core XMOS processor. All filters are minimum-phase, slow roll-off and are optimized for time-domain response. Two ESS 32-bit stereo Sabre DACs are used in mono mode to deliver a claimed 129dB signal-to-noise ratio. The 100MHz master clock is an ultra-low phase-noise oscillator from Crystek, which delivers <90 dBc/Hz phase-noise and 82 femtosecondsof jitter. Texas Instruments frequency dividers are used to distribute and derive all other system clocks. The output stage is all discrete components and features parts from AVX, Bourns, Vishay, and other quality manufacturers. The analog output amplifier is a single-ended FET Class-A design; FETs are from International Rectifier. The output drive signal has a maximum amplitude of 145Vrms, which is superimposed on the 1350VDC bias and applied to the diaphragm. The rear stainless steel mesh is at ground potential. The capacitance of this load increases with frequency and may approach a fully capacitive load at high frequencies. 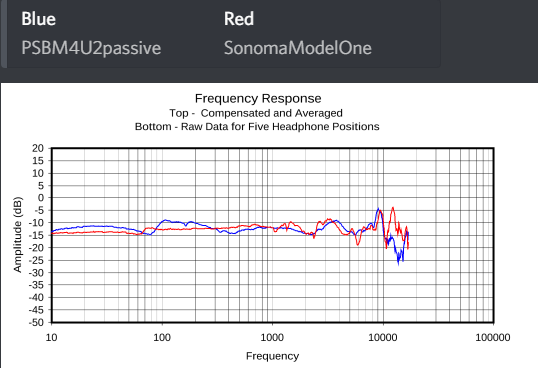 Sonoma claims the M1AMP is capable of driving this essentially dead short load at high frequencies with the 145Vrms signal without clipping or distorting. The outboard power supply is a universal voltage, outboard switch-mode power supply unit using a fixed frequency-switcher (operating at over 85 kHz). Significant effort went into reducing noise; there is a massive ferrite filter mounted on the cord. Alrightythen, let's turn the page and talk about the driver itself a bit.